Description Of Item: Build up your Imperial forces and celebrate the 30th anniversary of The Empire Strikes Back! When the Rebels? secret base is discovered on Hoth, the Empire attacks with a force of cold-weather Snowtroopers. 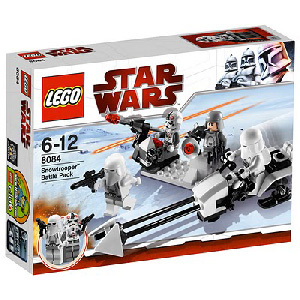 Includes battle station with flick-firing missiles, Imperial Speeder Bike, 2 Snowtroopers, AT-AT Driver and Imperial Officer.